The heartbeat of any organization is its people. In order to create a culture of continuous improvement, leaders must understand how they affect the culture, their role in supporting the culture, and the actions required to put systems in place to sustain the cultural transformation. Led by Toyota veterans Tracey and Ernie Richardson, in this session we will explore the key actions required to build a culture of continuous improvement and learn about our role as leaders when we go to the Gemba. The Cultural Transformation session is intended for a large audience and can be a standalone event. The two Gemba Walk workshops are intended for a smaller audience with 30 participants in each workshop. Choose from two locations: A-dec (5/15) or Blount (5/16). Workshop attendees must also attend the Leading a Cultural Transformation session (5/14). Intended Audience: Leaders at all levels of the organization with a basic to intermediate understanding of lean principles. As leaders, our greatest mission is to develop thinkers and problem solvers throughout our organizations. Lean thinking creates a mindset and uses foundational tools to accomplish this mission. One of the keys to success is ensuring people understand why the tools are important (purpose). This requires a level of discipline and accountability for the actions of all team members at all levels and across all functions. As leaders, we must constantly find ways to teach and lead and learn through our actions, not just our ideas. We must be able to translate the vision into tangible actions we bring to life within our daily work. These actions should be in line with a PDCA-mindset that supports our business plan/true north. When this is our guiding principle, when we are genuinely willing to learn and engage alongside team members in service of our true north, we are building a culture where people truly are the organization’s most important asset. In this 1-day learning session we will explore the key elements and actions required to build a system that supports and sustains your lean culture. The importance of evolving a company’s culture and how it plays a role in long-term growth and sustainability by developing people to think differently vertically and horizontally across the organization. How culture change begins by developing a True North/Mission/Values so team members and leaders have a guiding beacon to value added action each day versus non-value added reactivity. Understand the linkage to their daily work/actions and begin to measure and connect them to company key performance indicators. Standardization and visualization are key elements to seeing abnormality at a glance, participants will be introduced to SDCA (Standardize Do Check Adjust) as the pre-requisite to effective and efficient PDCA thinking. Everybody, Everyday Engaged (E3): this thinking will enable any organization to shift how they do business, putting people first and foremost in the organization. This workshop will be offered twice, choose one date/location that works best for you. Address and parking location details will be sent to participants one week prior to the event. Intended Audience: Leaders at all levels of the organization with a basic to advanced understanding of lean principles. The Gemba Walk workshop will focus on how a leader can go to the Gemba and add value/gain value. The 1-day workshop is a follow up to the Culture Transformation session and will focus on breaking down barriers for problem solving and developing people. There will be two visits to the Gemba. The first time you will focus on “grasping the situation”. Then we will come back to the classroom for reflection and training. In the afternoon the groups go back to the Gemba with a specific focus, then come back to the class to reflect and report out. One of the unique focuses in the session is to learn to “see through the process” with people who are doing the work. Why do we go to the Gemba as a leader? What is the purpose of a Gemba walk? What are the expectations? What are we looking for and why? What you see isn’t necessarily what is happening. How do you look “through” the process? How do you prioritize the things you see to know which are critical to address? Leaders attending this workshop can expect to come away with a better understanding of how to see and understand the flow of work in their respective organizations. The workshop will help them see beyond the obvious results to the underlying processes that produce those results with an eye to how to create more value with less waste. Workshop participants are required to attend the overview session on May 14th. 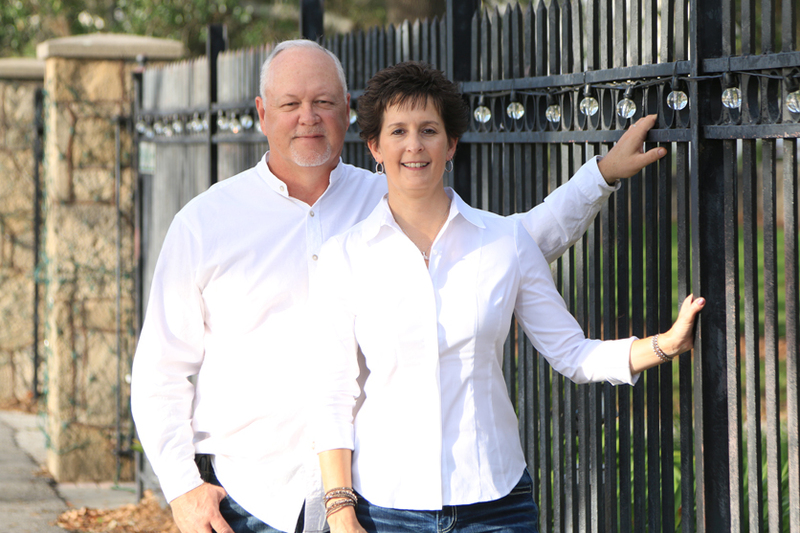 Ernie Richardson and Tracey Richardson are co-owners of Teaching Lean Inc and faculty members at the Lean Enterprise Institute. 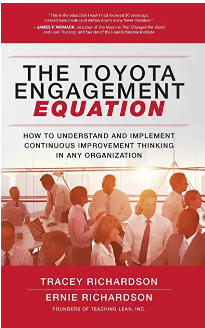 They recently authored the “The Toyota Engagement Equation – How to Understand and Implement Continuous Improvement Thinking In Any Organization”, winner of the Shingo Publication Award. They contribute to many lean blogs and have been featured on numerous podcasts. Their 60 years of combined experience working both inside and with Toyota provides a solid foundation for sharing stories, insight, and lessons learned along the way. Their full bios can be viewed here.